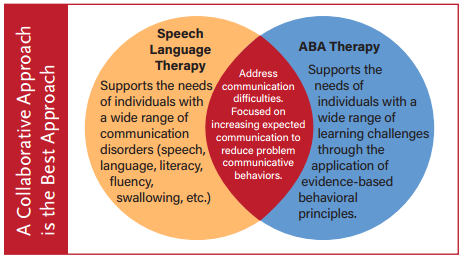 The Autism Home Support Services Speech Language team brings a comprehensive, collaborative approach to ABA and Speech Language Therapy. Our expert clinical leadership specializes in treating children with autism for a more cohesive treatment plan for your child. Our Speech Language Pathologists have dedicated their careers to treating children on the spectrum. This means they better understand the challenges your child may be facing and how best to overcome them. Our Board Certified Behavior Analysts (BCBAs) and Speech Language Pathologists work seamlessly to provide a cohesive, collaborative approach, maximizing the best possible outcomes for your child. 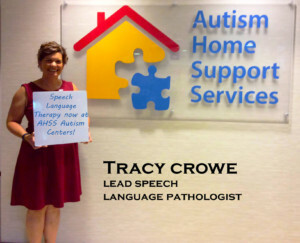 Our Lead Speech Language Pathologist, Tracy Crowe, brings over 10 years of experience supporting children on the Autism Spectrum and their families. She completed her Master’s degree in Speech-Language Pathology at the University of Iowa where she studied under Dr. J. Bruce Tomblin. After working in elementary schools and through the Missouri First Steps (EI) program, she completed a Master’s of Special Education in Autism at the University of Missouri-Columbia. Tracy has worked collaboratively with a variety of professionals in home, school, and clinical environments. She has an interest in both low-tech and high-tech forms of communication and a passion to find the modality that best fits each child she serves. We’re proud to welcome her to our team and excited to collaborate in supporting families affected by Autism Spectrum Disorder. Without further ado, meet Tracy Crowe! Call 844-AHSS-ABA (247-7222) for more information on Speech Language Services at AHSS Autism Centers!